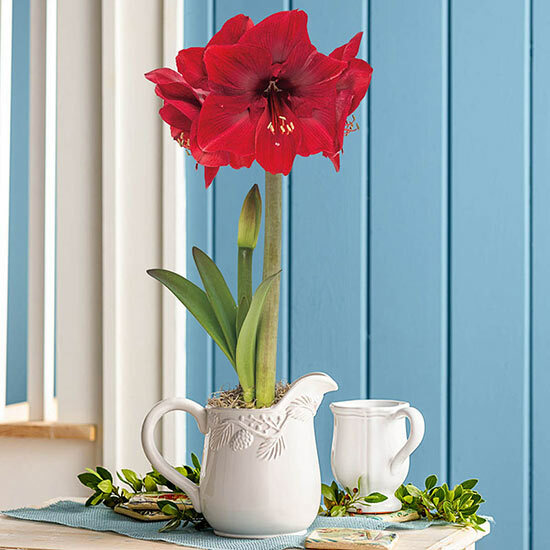 This clever amaryllis gift pours on the charm. My order was delivered today and I was pleased to see that the one in the Pine Bough Pitcher is starting to grow. The "Christmas Gift" ones are still dormant but such huge bulbs. Thanks to Breck's for the quick service and nice bulbs.